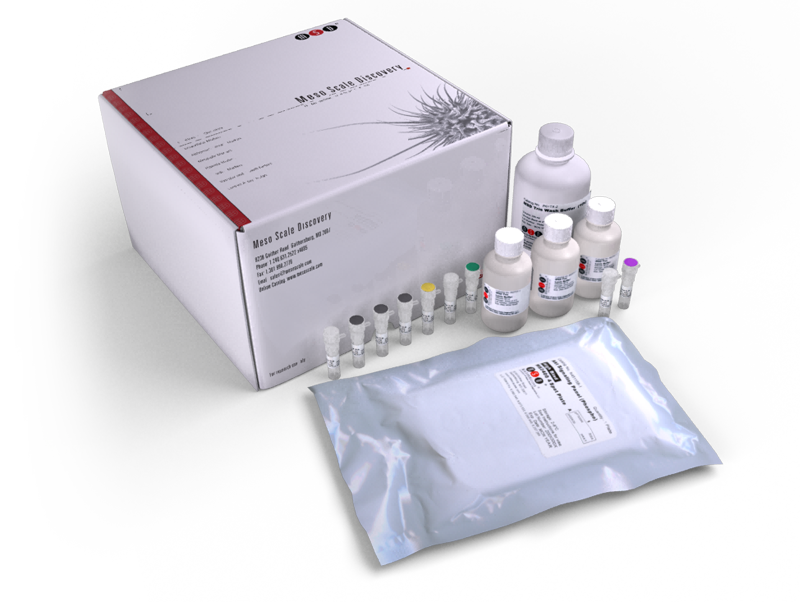 The Kidney Injury Panel 1 (rat) Kit provides the assay-specific components for the quantitative determination of both natural and recombinant rat NGAL/lipocalin-2, osteopontin (OPN), albumin, and T cell immunoglobulin and mucin domain containing molecule-1 (TIM-1) in urine samples. NGAL/lipocalin-2 is a 25 kDa glycoprotein that acts as a transport protein carrying small hydrophobic molecules such as steroid hormones, vitamins, and metabolic products. It is expressed in most tissues and is induced in epithelial cells upon inflammation. In the kidney, NGAL/lipocalin-2 may be implicated in both the progress of and protection from renal injury. OPN is a secreted acidic and phosphorylated glycoprotein that is involved in bone metabolism, immune regulation, cell survival, and tumor progression. OPN is mostly expressed in bone, kidney, and epithelial tissues. Albumin is the most abundant serum protein and acts as a transport protein for hemin and fatty acids. Albumin is produced in the liver and secreted into the bloodstream. TIM-1 (also known as KIM-1 or HAVCR) is a type 1 transmembrane glycoprotein found on CD4+ T cells and renal proximal tubule epithelial cells. TIM-1 is released upon certain types of acute kidney, and can be measured in urine, serum, or plasma.